Polycarbonate sheets, commonly known by the brand name Lexan®, is a high performing and impact resistant plastic. The excellent impact strength of Polycarbonate makes it resistant to shattering and repeated heavy strikes. Its ease of machining allows for its use in many unique applications. 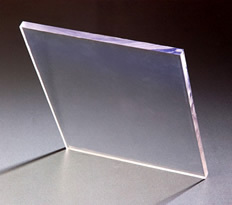 Polycarbonate can be cold folded in thickness up to 5mm. With exceptional luminous transmittance and optical transparency properties it makes polycarbonate the ideal solution for glass environments where glass breakage or vandalism is common. Macplas LTD is able to supply a range of Polycarbonate solutions in rod, sheet and tube form.